You are here: Home » Is it just me, or is Apple’s marketing getting a bit cocky? Is it just me, or is Apple’s marketing getting a bit cocky? I received the email below from Apple today, announcing the release of their iPhone 4. Now to be fair, I am currently living in a developing country so I have missed a lot of the hype around iPhone 4, but an email that just says “iPhone 4 is here. Buy now” is missing a pretty fundamental marketing principle: Why? The “Buy now” link goes through to a page that gives a few options as to where I can buy the iPhone, but still doesn’t tell me anything about the product. 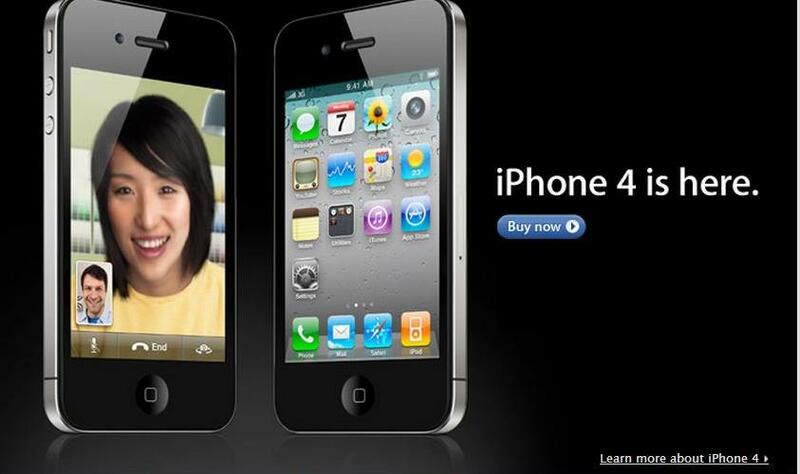 In small font in the bottom right of the email there is a link to “Learn more about iPhone 4” that takes you to this page, explaining some awesome new features such as video calling, retina display, multi-tasking, and HD video recording. Cool! So how come you didn’t tell me about these reasons why upfront in your email Apple? Fortunately my friends over at Funny or Die have seen the irony in some of Apple’s marketing as well, with this satirical video. Warning this contains some VERY strong language, so if you are offended by that sort of thing don’t watch it, or at least put your headphones in if you are watching it in the office! Very cocky, but its not just any product. My company had customers asking for the new iphone months before it was even launched. All rational decision making is thrown out the window when it comes to iphones, people just want, want, want. Android is finally shaping as a viable smartphone alternative though, so it will be interesting to see if Apple maintains its dominance. They’re getting very cocky unfortunately – pity iPhone 4 has major problems that need to be sorted by them and not by consumers!